The Countdown Begins For The 2017 iHeartRadio MMVAs! Everything you need to know about the 2017 iHeartRadio MMVAs! The countdown begins for one of Canada’s largest live awards show and street party! 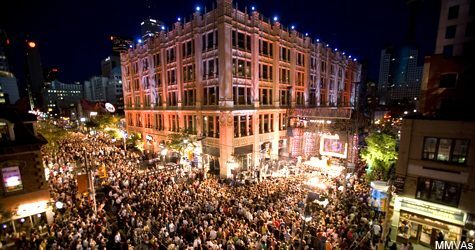 Queen West attracts thousands of Torontonians for the iHeartRadio MMVAs that kick off this Sunday evening. Much has announced presenters, performers, and special guests – the line up is super exciting! Not sure of all the details? Don’t worry, we’ve got you covered! So who’s hosting one of the largest and most exciting awards show? Well, let’s just say this year’s hosts are the ultimate dream team! 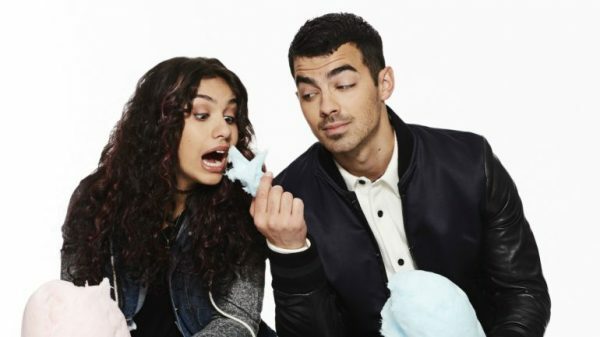 Our very own Canadian pop artist Alessia Cara, and former MMVA host and DNCE leader Joe Jonas are coming together to host the night. Fabulous star appearances, crazy entrances, and striking outfits! Sounds like the perfect combination right? 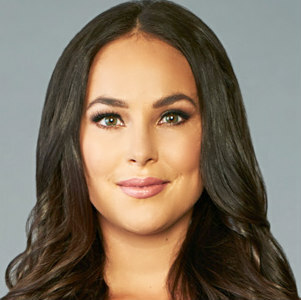 Chloe Wilde, eTalk reporter and E! 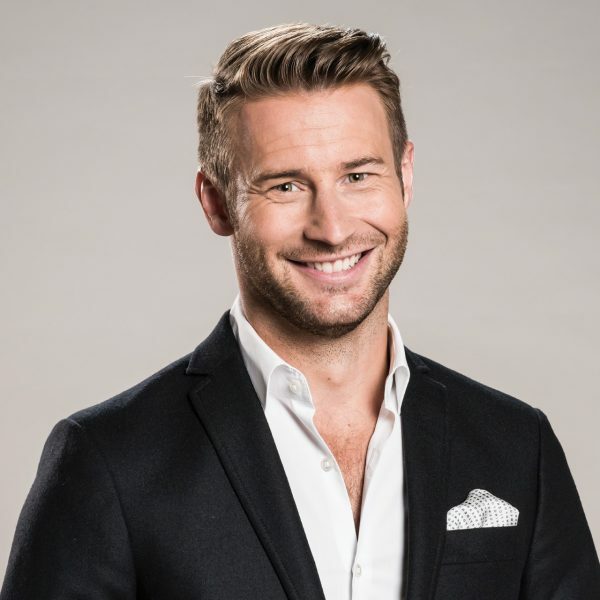 host will be joined by iHeartRadio’s Patrick Langlois to start all the action with a red carpet pre-show and welcome chart-topping celebrities at 8 p.m. ET. If you can’t make it, then you can definitely count on them to make you feel like you’re there! Joining them to co-host the show is Much TV host and eTalk reporter, Liz Trinnear who will be sure to bring her radiating personality. Much and E! 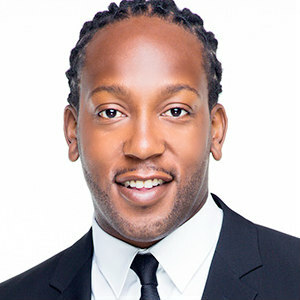 host, Tyrone Edwards will be back this year to hit the stage! The highly anticipated awards show is set to feature pop music’s hottest stars! There will be special performances by Camila Cabello, Niall Horan, Post Malone, Arkells, Lorde, Imagine Dragons, Iggy Azalea, DNCE, Jessie Reyez, Julia Michaels, and Jazz Cartier. Keep an eye out for Jessie Reyez who’s confirmed to kick off the night with a red carpet performance and Kardinal Offishall returns to DJ on the red carpet! Look out for a red-hot list of presenters! Presenting at this year’s show are Shawn Hook, Carly Rae Jepsen, Lights, Kat Graham, Massari, Hedley, Torrance Coombs, Scott Helman, Tyler Shaw, Tatiana Maslany, Shay Mitchell, Dove Cameron, Tyler Oakley, Jus Reign, Serena Ryder, Shenae Grimes-Beech, Lilly Singh, David Mazouz, Brandon Flynn, KJ Apa, Nikki Bella, Martha Hunt, Keke Palmer, Bea Miller, and 4YallEntertainement. What’s New at the MMVAs this Year? Much and iHeartRadio are partnering up with Twitter for the first-ever IHEARTRADIO MMVA PRE-GAME that will be streaming live globally on Twitter at 6:30 p.m. ET. Can’t attend the show? That’s all right because also for the first time ever, you can feel like you’re in on all the action with the new iHeartRadio app that’s set to livestream the entire awards show! The wristbands sold out in less than 30 seconds and if you didn’t score one then you’re not out of luck. There’s still many ways to attend the show! Fans (14+) can begin lining up at the northwest corner of Richmond and John Street after 12 p.m. on Sunday, June 18. Bleacher seats are filled on a first-come basis. Queen Street will be open to the public (all ages) on the night of the show! You can continue the countdown by entering contests at www.much.com and look out for “RT to win” Tweets on the @Much Twitter page. The iHeartRadio MMVAs airs live on Much, CTV, and VRAK on Sunday, June 18 at 9 p.m. ET. You can follow the conversation at #MMVAs. And here’s a throwback to past MMVAs! How many have you seen?